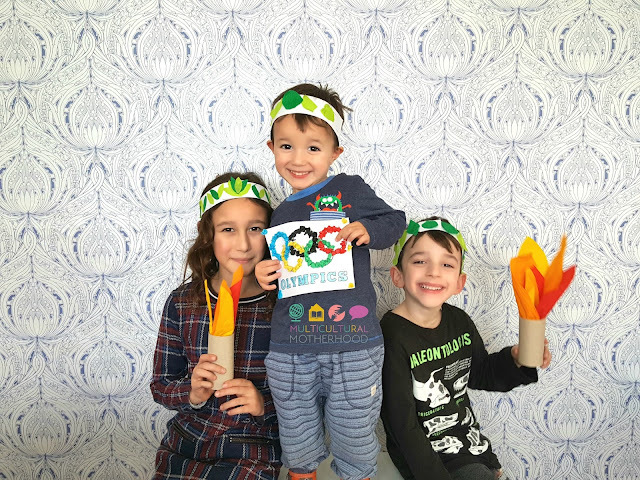 The Winter Olympics 2018 are just around the corner and we are getting very excited about watching and learning about the winter sports. This year the Winter Olympics are taking place in Pyeongchang, South Korea, a country we know very little about. We have taken a break from our usual homeschool studies this week to learn about the Olympic Games. 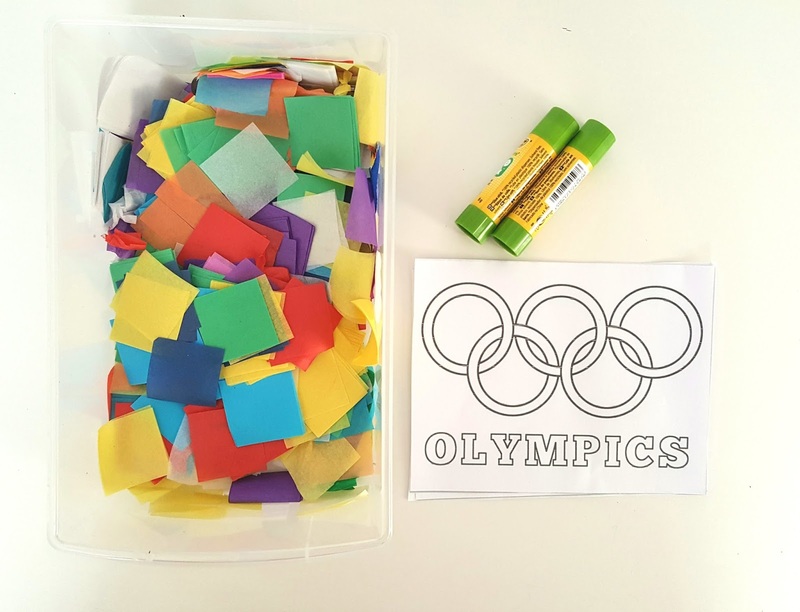 We have been using these printables to learn about the history of the Games as well as some of the countries and athletes involved. I decided to do some Olympic crafts with the children to compliment our learning. First of all, we made our own Olympic flags. This flag has a white background and 5 coloured, intertwining rings. These rings represent the five continents that take part in the Olympic games. The six colours are those which appear on all the world flags. 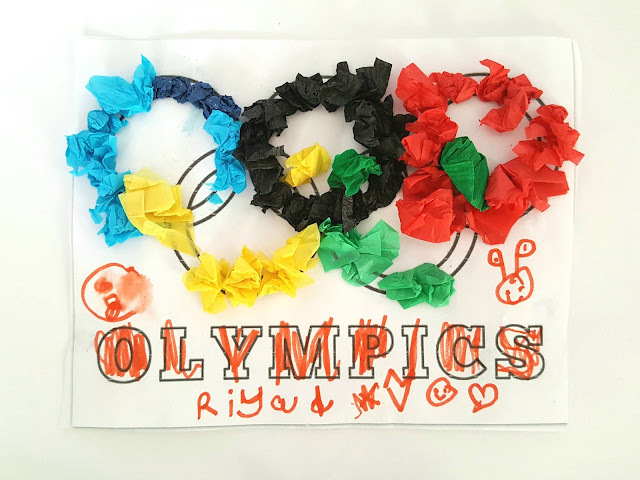 We used this printable of the Olympic flag. 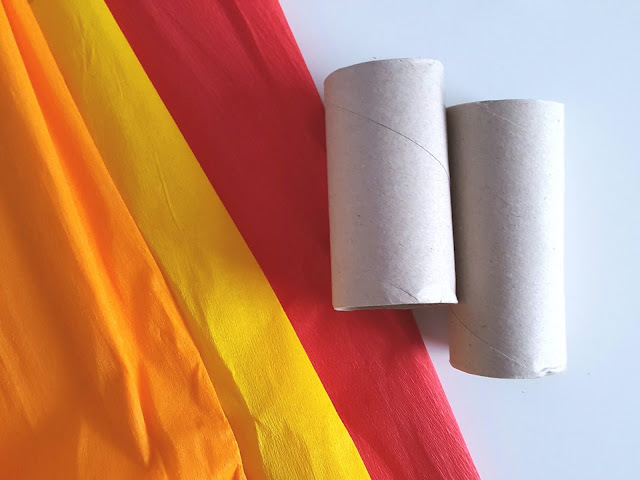 Then I gave the children some tissue paper and asked them to scrunch up squares of each colour and stick them on the rings on the flag. They had a lot of fun doing this. 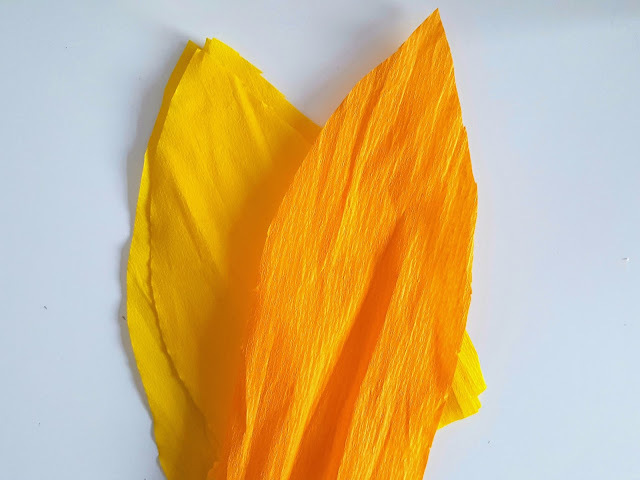 This flag was created by D.
This flag was created by R.
Next, we made the Olympic torch which is a particularly interesting concept for the children. Prior to making the craft, we learnt about the history of the Olympic flame, a fire which is kept burning throughout the duration of the Games. The Olympic torch is lit at Olympia and travels by relay to the site of the Olympic Games which are held in a different location each time. I remember seeing the journey of the Olympic torch myself when the Olympic Games came to London in 2012. To make the craft, I gave the children some cardboard tubes and some crepe paper. 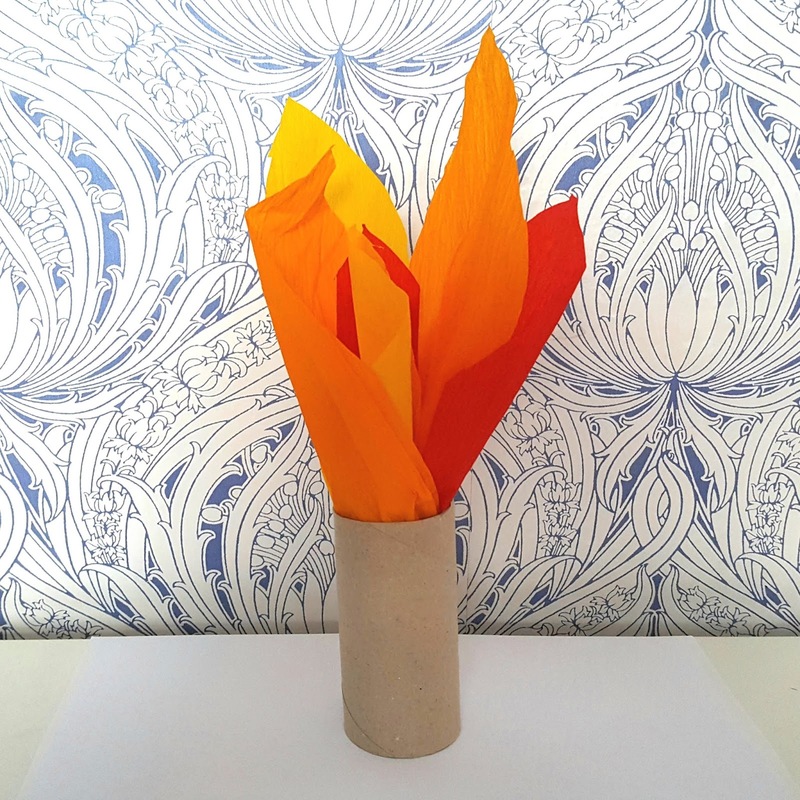 We cut out flame shapes from the crepe paper and the children stuffed these inside the cardboard tubes. We did not use anything to fix the paper to the tubes as we found they were secure enough as they were. 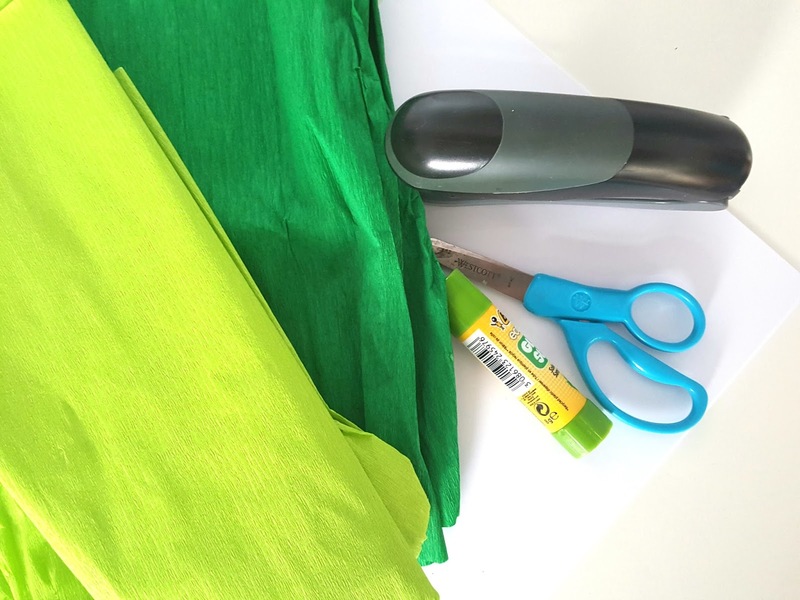 If you use tissue paper instead of crepe paper, you may need to use glue or sellotape to secure the paper to the tubes. Finally, we made the Olympic crown. The Olympic crown or wreath was given to winners of the sports in ancient Olympic Games. These crowns were made of olive leaves. 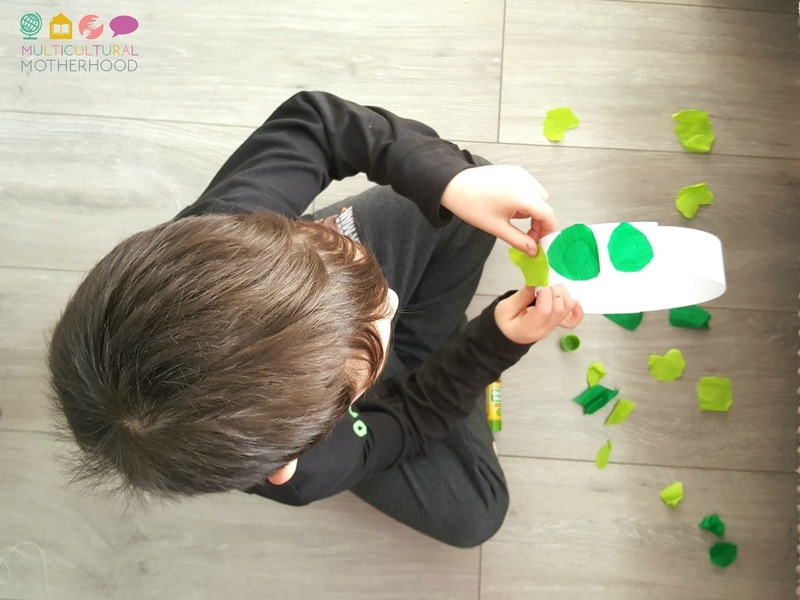 The children were keen to make these out of real olive leaves but I explained we did not have any olive trees nearby! 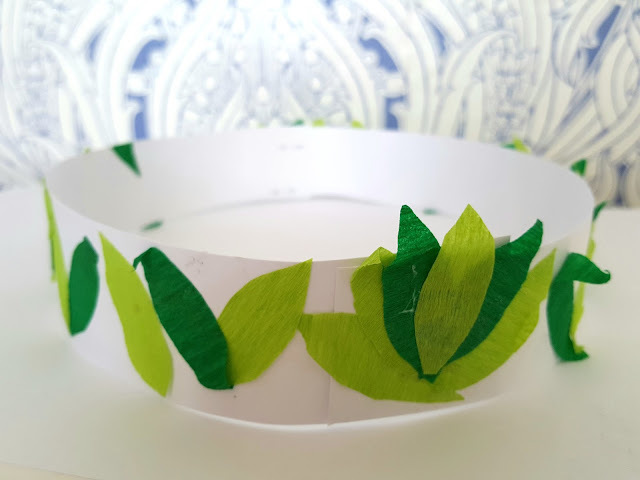 To make these crowns, I got some A4 white cardboard and cut out strips. I needed to use two strips per child and I stapled the strips together to make the base of the crown. 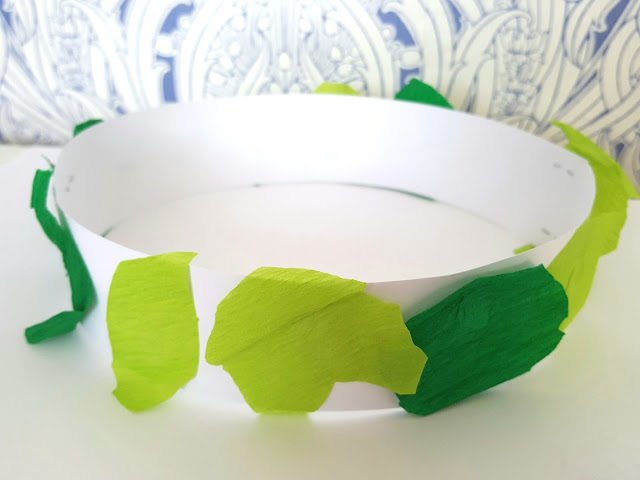 Then they children cut out leaf shapes from green crepe paper and stuck them on the base of the crown with glue. They were very happy with the finished crowns and enjoyed wearing them around the house. Will you be watching the Winter Olympics this year? How have you been preparing for the Olympic Games with your children? This article is part of the Winter Olympics 2018 blog hop. 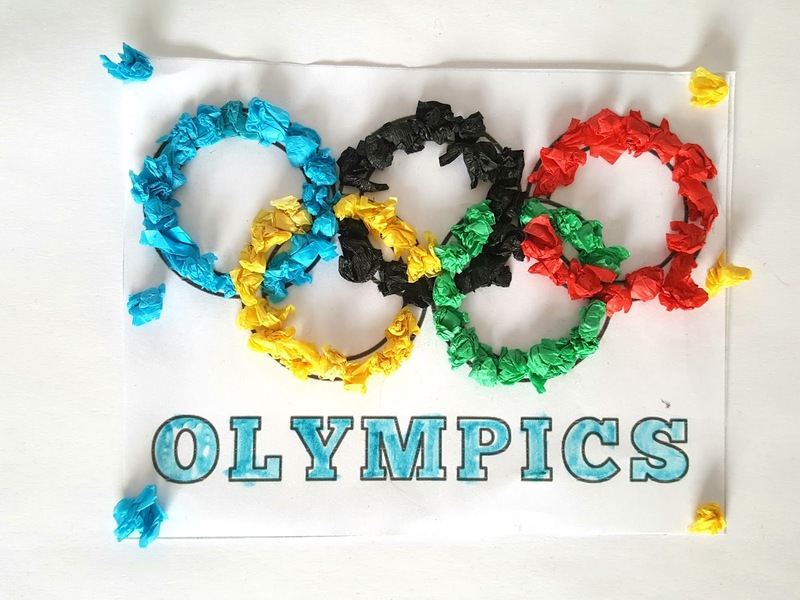 Check out the following articles for more Winter Olympics activities!